In rural Africa, accessing electricity is sometimes a challenge. For people who have cell phones, laptops or radios to charge but no access to grid electricity, an alternative is needed. Dr. Cedrick Ngalande is an inventor who came up with a simple but ingenious solution: using people power to give gadgets a charge. His invention, strapped around your waist and dragged behind you, may not win you many points with the fashion police, but when your phone really needs a charge you don’t care much about how you look. 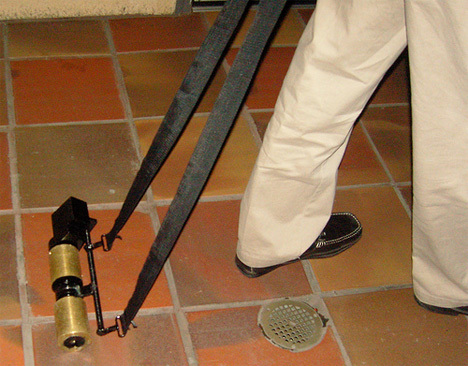 The gadget consists of a dynamo that is turned through contact with the ground while the user is moving. 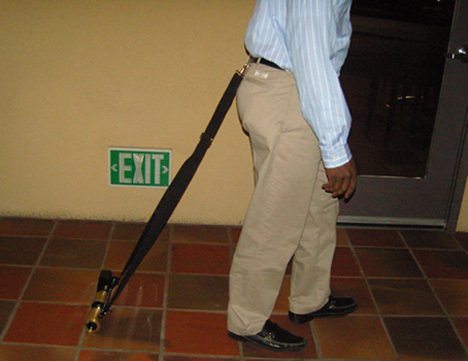 Ngalande’s invention is called the Green Erg, and it’s useful even for people who don’t live in a developing nation. In an emergency when the power goes out, or on long bus trips with several layovers but no power outlets, you still need to charge your phone. And the gadget can be attached to a bike, car, or ox cart to generate electricity without looking too silly. The device will work on all kinds of roads – even on wet lawns – so you’ll never have to worry that your efforts will be wasted. See more in Energy & Power or under Science. December, 2009.